The air-cushioned face mask has a pre-filled air-cushion (medium inflation pressure) that molds to the contour of the patient’s face providing a tight, leak-proof and comfortable seal. 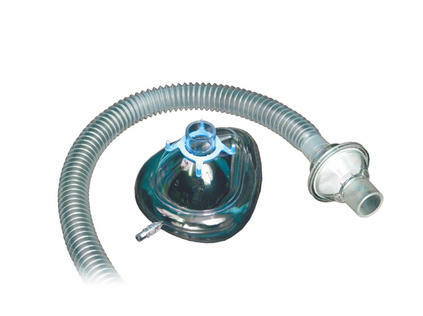 Cushion pressure is easily adjusted by inserting a standard syringe without needle in the two-way valve located on the mask bottom. The flexibility of cushion pressure allows optimum surface contact for every patient. Transparency of the entire mask allows continuous visual identification of patient’s vital signs. Biodex offers three combinations of convenience kits utilizing the basic face mask. Choose the kit most suitable for your facility.